Plexus ProBio5 Reviews | Does it Work or Scam? 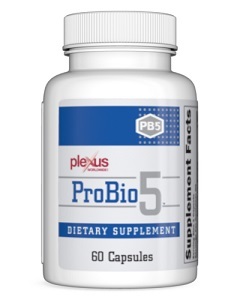 With a general score of 3/5 stars, Plexus ProBio5 ranks a little bit above the average position for a daily usage probiotic as a result of both its obvious advantages and less pleasant drawbacks. Among the first positive aspects, we can include the product’s proprietary formula. 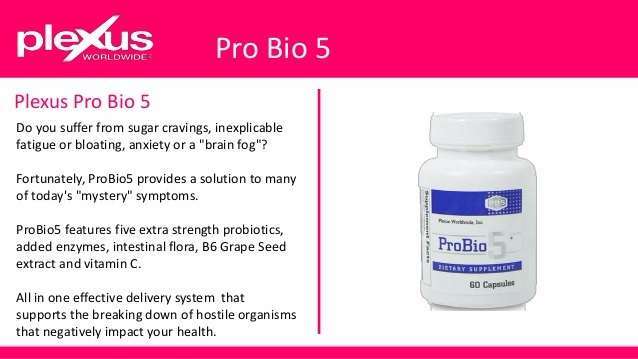 As stated on the label, ProBio5 uses a combination of 2 billion CFUs (colony-forming units) from 5 distinct probiotic strains (Bacillus coagulans, Bifidobacterium longum, Lactobacillus acidophilus, Lactobacillus plantarum, Saccharomyces boulardii), a specific enzymatic formula, B-complex vitamins, alongside other natural ingredients (for instance, grape seed extract). Such elements have been demonstrated to highly improve both digestive and immune functions within the organism. As a consequence, a well-nourished body will translate into higher energy levels, better weight management, and generally more stable moods. The fact that the only other ingredient besides these organic components is water makes ProBio5 a health and wellness-oriented supplement from the start. Many companies resort to numerous additives and fillers in order to help stabilize the probiotic component in their supplements, but this does not seem to be the situation with ProBio5. In fact, the label actually states that you do not need to refrigerate the product after opening it, making the present dietary enhancer great when you want to travel and still get a good digestive boost at the same time. Nevertheless, there are some aspects which lack in quality regarding ProBio5. For example, the packaging recommends taking between 1 and 4 capsules each day with a meal or before going to sleep, with the latter administration option being both rather excessive and definitely out of an accessible price range. 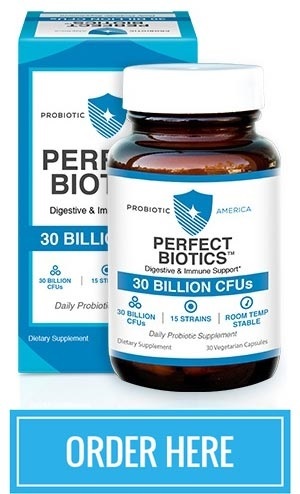 With $0.58 per capsule ($34.95 for each 60 capsules bottle), this probiotic enhancer can quickly surpass the average supplement pricing (~$0.70) and ‘burn’ a hole in your wallet quickly enough. Another disadvantage is represented by the fact that the probiotic colonies are only guaranteed as being viable and active up until the manufacturing time. This somewhat implies that less than ideal handling or storage conditions can damage the product’s CFUs count, resulting in less or – in extreme instances – none of the 2 billion microorganisms promised being actually delivered to your gastrointestinal system during the administration period. The best scenario would be to have a probiotic guarantee extended to the expiration date stated on the bottle, but unfortunately, this is not the case with ProBio5. Speaking of the supplement’s composition, you should also know that ProBio5 does not behave all that satisfactory with regards to allergy concerns either. The enhancer contains three major allergenic threats – namely yeast, brown rice powder, and gelatin – that make it both non-vegetarian and dangerous for particularly sensitive individuals. All in all, Plexus ProBio5 scores a slightly above average review of 3/5 stars as a result of its interesting formula and selection of probiotic strains. The downside is that Plexus ProBio5 costs too much to be effectively used as a daily probiotic booster, as well as containing a number of allergens and not guaranteeing microorganism efficiency past the manufacturing date. Bacillus coagulans – is a spore-forming bacterium which can have beneficial effects on digestive and immune functions alike. Among its most widespread health uses, we can include shortening the duration of diarrhea episodes (especially in instances of prolonged antibiotic treatment), as well as alleviating the symptoms of various gastrointestinal issues like Crohn’s disease, ulcerative colitis, irritable bowel syndrome (IBS), inflammatory bowel disease (IBD), etc. In addition, Bacillus coagulans can help prevent infections normally associated with Helicobacter pylori or Clostridium difficilecolitis infections. Bifidobacterium longum – as a member of the Bifidobacterium family, this probiotic has the capacity to boost food decomposition rhythms, enhance nutrient assimilation within the gut, and improve weight management in time. Moreover, Bifidobacterium longum acts as a natural antimicrobial inside the intestinal system by combating the development of harmful pathogens, hence alleviating instances of bowel inflammation, IBS, etc. Because of its strong colonization capacities, this ‘good’ microorganism can restore intestinal microflora levels after antibiotic treatments. Lactobacillus acidophilus – is an ‘acid-loving’ bacterium that transforms milk sugars into lactic acid during food decomposition processes, therefore improving lactose tolerance and diminishing episodes of abdominal pain, gas or bloating caused by the otherwise improper digestion of dairy derivatives. Its fermentative properties allow it to be used both as a starter culture in numerous milk-based products (like natural yogurt, for instance) and as a gastrointestinal booster via dietary supplements. Other advantages of Lactobacillus acidophilus include improved immunity screening against harmful pathogens and normalized mental moods. Lactobacillus plantarum – is the ideal probiotic when it comes to suppressing Escherichia coli infections, accelerating the body’s natural food decomposition patterns (through specific enzymes), and reducing the symptoms normally associated with lactose intolerance in sensitive individuals. Lactobacillus plantarum is also useful in treating cases of ulcerative colitis, its antioxidant and antimicrobial properties leading to improved intestinal permeability, boosted nutrient assimilation within the gut, reduced pathogen overgrowths, and an overall sensation of well-being. Saccharomyces boulardii – is largely used as a probiotic enhancer owing to its digestive and immune protective qualities. One established in the small and large intestine, Saccharomyces boulardii colonies work towards normalizing bowel motility (for example, for those suffering from chronic diarrhea and/ or traveller’s diarrhea), ameliorating the symptoms of IBS and IBD episodes, and screening the body against various pathogens (especially Clostridium difficile, which tends to occur after prolonged antibiotic usage). Enzymatic blend (proteases, chitosanase, cellulase, serrapeptase) – enzymes are naturally occurring molecules which help the body catalyze numerous substances during digestive processes. These chemical reactions then result in easier to process elements that can be then absorbed into the organism as antioxidants, nutrients, vitamins, etc. For instance, proteases aid in protein decomposition, while chitosanase transforms glycosidic bonds into oligosaccharides. In terms of health contributions, serrapeptase has been shown to reduce the formation of blood cloths and improve anti-inflammatory responses, with cellulase greatly aiding stomach digestion over time. Vitamin C – also known as ascorbic acid, vitamin C is nowadays famous for its capacity to boost metabolic rhythms, increase nutrient absorption, and simultaneously act as a powerful antioxidant for the body’s cellular makeup. While this vitamin can be acquired through various vegetables and fruits (with the citrus variety being the most well-known), pharmaceutical supplementation can actively help reduce instances of the common cold, prevent the formation of carcinogenic growths, ameliorate cardiovascular afflictions, and even act as a positive contribution to chronic issues such as cataract or Alzheimer’s disease. Vitamin B6 – is a part of the B-vitamin complex, playing a crucial part in the enzymatic decomposition of numerous lipids, amino acids, and glucose-based components. Its most widespread employment is that of ameliorating nausea reactions during the early stages of pregnancy, the most complex forms of utilizations including autism and Parkinson’s management in more recent years. Additionally, a normal intake of vitamin B6 can prevent the formation of colon cancer, diminish PMS (premenstrual syndrome) symptoms, and ameliorate the quality of your sleep. Grape seed extract – has numerous health benefits, from improved eyesight to better control over diabetes. The natural antioxidant effect of grape seed ensures overall better health levels, reduced PMS symptoms, better blood pressure and cholesterol readings, and might even help prevent the formation of various cancers in time. In terms of digestion, this ingredient blocks the formation of enzymes that damage important bodily elements like elastase and collagenase, at the same time normalizing bowel movements and immunity screening alike. Unfortunately, Plexus ProBio5 does exhibit a rather elevated allergenic potential. Aside from its probiotic, enzymatic, and vitamin ingredients, the present supplement also contains brown rice powder, yeast, and gelatine. These substances have been shown to negatively influence sensitive or allergic individuals, so caution is definitely advised in this sense. If you have a history of unwanted reactions to either of these ingredients, then try to find an alternative to ProBio5 as your daily probiotic enhancer so as to avoid future medical issues. On the other hand, this supplement contains no other additives or fillers, which is the ideal case for any good probiotic enhancer that claims to be wholesome for the body in the true sense of the word. In fact, the only other component aside from the ones already mentioned is water, an overall formula which definitely brings ProBio 5 higher up on the supplement quality scale. Every bottle of Plexus ProBio5 will cost you 34.95 for 60 capsules, namely $0.58 per individual capsule. Compared to the average price of a good probiotic enhancer – approximately $0.70 – this is a very advantageous pricing range for each individual serving, more so when we take into account the probiotic cultures (5 distinct strains) and CFUs count (2 billion microorganisms). Even so, the ‘suggested use’ recommendation of the label states you can take up to 4 capsules of ProBio 5 for a more potent effect, which of course raises the daily investment to way above the normal pricing range of such a supplement. So, if you were to take the maximum dosage, then your regular investment would amount to $2.33, which is definitely highly expensive for this type of supplement, at more than three times the normal cost of other similar products currently available on the market. As a result, the price of Plexus ProBio 5 can range from very inexpensive to less affordable – it all depends on your dosage of choice. Another important advantage of ProBio5 is the fact that you will not experience any sort of side effects during the entire time of administration. As you might already know by now, the beginning of any probiotic treatment can be a little bit tricky on the gastrointestinal system. Why so? Well, because introducing a new number of bacterial colonies can cause an initial imbalance within the gut, once which leads to unwanted symptoms like visceral pain, bloating, gas, and even nausea. Luckily, the 2 billion CFUs contained by ProBio 5 seem to be mild enough so as to not result in this sort of side effects all throughout the utilization period. This is definitely a big plus for the probiotic supplement because it implies that the capsules are both safe to use and efficient. Unlike other probiotic manufacturers, Plexus offers a 60 days money back policy in the case that you go through an unsatisfactory probiotic experience. This implies that you can return the unused capsules, alongside with the original packaging, within 15-60 days of purchasing and receive your investment back in full. The only minor setback would be having to pay for the S&H (shipping and handling) costs yourself, but it still remains a great deal for the supplement in question when considering that many other companies do not offer such a refund in the first place. Consequently, Plexus ProBio5 gains another ‘bonus’ point with regards to customer care and satisfaction guarantee. Where to buy Plexus ProBio5? 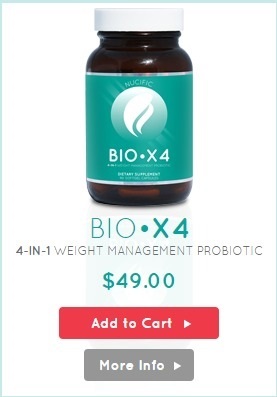 You can purchase Plexus ProBio5 through the company’s official website. 5 Comments on "Plexus ProBio5 Reviews | Does it Work or Scam?" For the 60 day money back guarantee you do not have to send anything back! So, no S&H free on the customers part! I have had horrible digestive issues for most of my life. I started Plexus ProBio 5 with several other products a little over 3 months ago. I still have not reached the 4 per day for a few weeks to help rid my gut of that unhealthy overgrowth, but at 2 per day for most of that 90 days, I could not be more satisfied. It took a few weeks before I noticed most of the benefits, as I was already eating pretty “clean”, but I have felt more results from these probiotics than any other that I have encountered. This included ones prescribed by my physician that needed to be refrigerated and cost a lot more $$$. The money back guarantee is nice to have, but for me it wasn’t required. I did notice that if I didn’t maintain my daily water intake, I would get slight temperature changes, which quickly subsided when I drank more water. That would be a die off symptom, linked to the release of bad bacteria into your body, that the enzymes broke down and needing the flush them out of your body instead of allowing them to sit around somewhere else. Most people do NOT drink enough water throughout the day anyway, so dehydration makes symptoms appear. A lot of the reasons most things don’t work for people is that they expect to change their unhealthy ways and see overnight results. For me, it took almost 40 years to become this unhealthy, I would never expect to be 100% overnight. 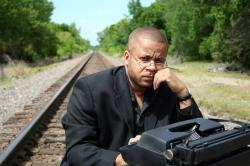 I also suffered from tons of horrible allergies to a lot of things found in the air and in foods. Since taking these probiotics, I have been able to enjoy dairy again, I digest pork normally and my sleep as improved where sleeping pills and regular melatonin could not. This might not be for everyone, especially if you are not interested in a lifestyle change (ex: you can’t take any health supplement for the purpose of getting healthy and maintain a 24/7 fast food, processed diet), but if you aren’t satisfied, you have a full 60 days to get your money back. Worse case, research all the ingredients and talk to your doctor. Gut health is of the utmost importance in our Western Society, since most of the foods that we are presented are processed or genetically modified, meaning you won’t receive proper nutrients from them, so it’s no wonder why our society is riddled with diseases that doctors only toss band aids on, so that they can make that pharma money. Regardless of how you receive your probiotics, make sure they are from a natural source, free of GMOs and that they contain a money back guarantee. This will save you thousands if you like to test out whatever is on the shelf. But if you are serious about getting healthy, the way we were designed and programmed to be, Google “gut health” and “your symptoms” and see the connection. Balance your guts, balance your life. Connie, I hope you really pushed thru that fatigued feeling. You are experiencing die off of the unhealthy gut strains. I hope that you were sent lots of information and have read up on this – it is an expected side effect but IT DOES GO AWAY! I hope you gave it time and increased your water…take it slow when adding any kind of supplement to your routine.